French President Emmanuel Macron has publicly admitted that Lebanese Prime Minister Saad Hariri had been “held” last November in Riyadh, where he abruptly announced his resignation live on Saudi TV, claiming his mediation efforts played a decisive role in resolving the political crisis back then. According to Press TV, Hariri sent schockwaves through Lebanon on November 4, 2017, when he announced his surprise resignation from a then-unknown location in Saudi Arabia and from Saudi-owned television. The premier accused Iran and Hezbollah of interfering in the region and signaling that such “meddling” was behind his decision to quit. Hariri remained in Saudi Arabia for two week, sparking speculation inside Lebanon and abroad that he was held hostage. Lebanese officials from all political groups held Riyadh responsible for Hariri’s mysterious resignation and stay in the kingdom, saying the Saudis had coerced the premier into stepping down and put him under house arrest. 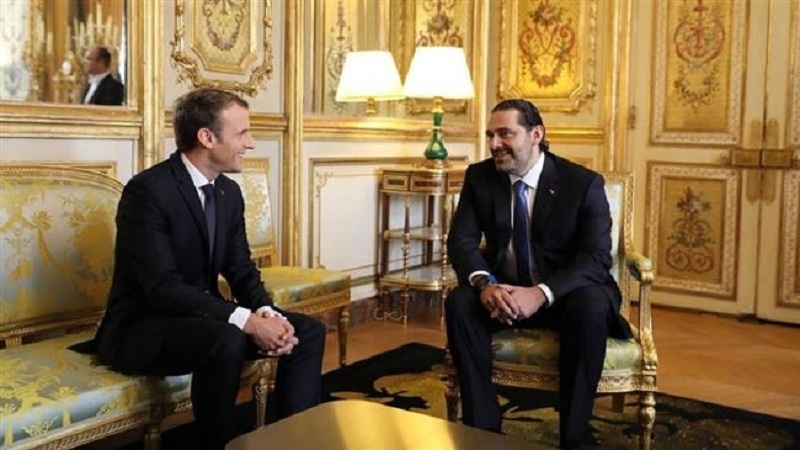 Hariri, however, managed to get out of the kingdom amid international pressure on Riyadh, including by Macron, who rushed to the kingdom on November 10 for talks on “regional questions” with Saudi Crown Prince Mohammed bin Salman. In an interview with French broadcaster BFM TV on Monday, Macron, whose country maintains close ties with Lebanon as a former colony, claimed credit for the settlement of that political turmoil. “I remind you that a prime minister was held in Saudi Arabia for several weeks,” Macron said. The French president said that his unscheduled stopover in Riyadh back them to convince Saudi leaders, followed by an invitation to Hariri to come to France, had prevented an escalation. “If France wasn’t listened to then there probably would be a war in Lebanon at this moment as we speak. It’s French diplomacy, it’s our action,” he claimed. Hariri returned to Lebanon in early December 2017 after his visit to Paris and rescinded his resignation. The prime minister, himself, denied that he was mistreated during his stay in Riyadh.